We deliver sameday including weekends and public holidays. What’s the minimum order to avail for free delivery? We offer free delivery when you spend at least PHP 6,000.00 on your order. To find out if you qualify for the free delivery, you can check the spending status bar in order summary check-out. What are your available delivery times? Our delivery hours are from 7 a.m. to 7 p.m. daily, including weekends and public holidays. Delivery slots are subject to availability. Our couriers expect our customers to receive the delivery within 10 minutes upon his arrival at your doorstep..
A sudden change of schedule? No worries, our trusted courier can still deliver at your doorstep. Cash on delivery - If you chose to pay Cash on delivery, just leave cash payment to your - representative. In case of an alcoholic beverage or restricted items, the courier reserves the right not to release the item to a minor. Landers will not be liable for missing items after the goods had been successfully received by your representative. If delivery is still unsuccessful, Landers may charge a restocking fee, personal shopper fee and delivery fee for perishable items as these are custom-ordered and guaranteed fresh. For a detailed guideline, please see Terms and Conditions here. Landers charges a Delivery Fee of ₱ 99.00 within the delivery area coverage in Metro Manila. Our delivery couriers will get in touch with you via a call or SMS before and during delivery. You can also track your order online by accessing this link. 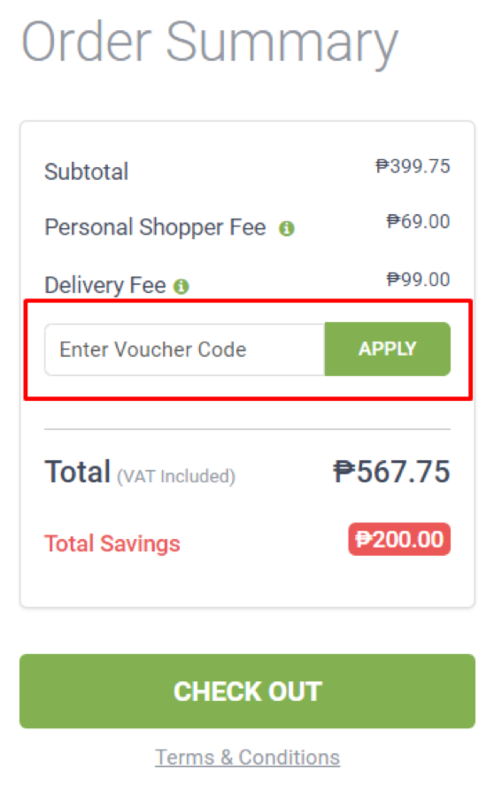 Vouchers can be used at the Check Out page.Enter your voucher code at the text box provided and click “Apply” to use your voucher. How much is the personal shopper’s fee? The personal shopper’s fee is only ₱ 99.00. The personal shopper is the team responsible in ensuring that your orders are complete, in good condition, packed properly and delivered on-time on your expected arrival time. If you need to cancel your order after online check-out, please inform our Customer Service Support at landershelp@landers.ph. We will do our best to accommodate your request, however, we cannot guarantee the cancellation if the order fulfillment process had already started. If you cancel after the order has been processed, you may be charged a fee for the perishable items in your order. For further details on the cancellation policy, please see Terms and Conditions in this link. What if the weight of the item i ordered is not available? b. in the event of any overpayment, we will reverse or refund the excess amounts paid for such item in accordance with our prevailing refund policy at the time of delivery. How does the Buy 1, Take 1 works? We know a superstore can be a lot to take in, so we've compiled all the answers to the questions you have in mind before you ask them! How much is your membership fee and what are the requirements? We have two types of memberships: Premium and Business Memberships. 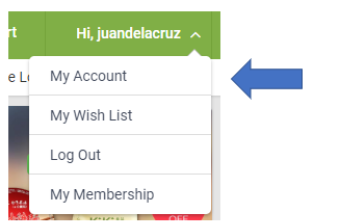 Premium or Personal membership - Annual fee is ₱ 800. You may avail of one extension card for an additional ₱ 400.
Business membership - Annual fee is ₱ 1,000. You may avail up to four (4) extension cards for an additional ₱ 400 each. Premium or Personal Membership - Two (2) valid government IDs. Business membership - A copy of DTI permit or Business permit is required for business authenticity validation. Memberships are valid for 12 months and can be renewed annually. Your membership card will be honored at all Landers stores. What is the difference between the Premium and the Business membership? Premium membership - for individuals and for personal use only. Business membership - for businesses (ex. sole proprietorships, corporations, partnerships, cooperatives and non-profit organizations). Visit and fill out membership forms at any of the Landers stores located at Alabang, Arcovia, Balintawak, Cebu and Otis. The membership offices are open from Monday to Sunday from 9 AM to 9 PM. Can non-members buy from Landers? In-store: Only registered members with valid Landers membership cards are entitled to enter the stores and purchase items. Non-members must register first and pay the corresponding membership fees before they can dine and shop. In-store: you can buy membership in any of our Super Store (add link of store location) daily from 9AM to 9PM. How many people can accompany a member inside the store? A registered Landers member can bring a maximum of five (5) adult non-members as guests. Children are not counted and can come along freely. When you sign up for a Landers membership, you signed up for more than just a new shopping experience. You also gain access to a year of exclusive perks that will make every visit blissful and unforgettable. Shop our wide selection of top-notch local and international goods, including hard-to-find products and exclusive brands at competitive prices. Can I use my card in other Landers Superstores? Your Landers membership card can be used at any Landers Store nationwide. Our stores operate from 9 AM to 9 PM. Our Caltex stations are open from 7 AM to 10 PM. How can I claim my membership card? How can I claim my gasoline voucher? How can I use my gasoline voucher? How do I change/update the information in my account? Can I log into my account using my Facebook? Ensure that your email or password was entered correctly and that caps lock isn’t on as passwords are case-sensitive. Use the “eye” icon to make your password visible for an easier introduction. 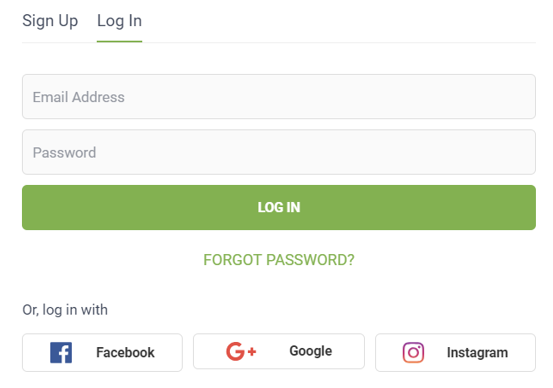 Click “Forgot password” if you still have issues logging in. If you need a longer time to complete your shopping, all your added items into your cart will be automatically saved. However, this does not guarantee items will still be available when you come back since the products you have added to your cart, are just reserved for a limited time , to give an opportunity to other customers to have a wider assortment and stock available. For Bulk or volume orders, we may require additional time to fulfill your order and may be charged a higher delivery fee. Please also note that for bulk orders, cancellation is not available. Our Customer Service team will reach out for order confirmation of bulk orders. If you need to cancel your order after online check-out, please inform our Customer Service Support at landershelp@landers.ph. We will do our best to accommodate your request however we cannot guarantee the cancellation if order fulfillment process has already started. If you cancel after the order has been processed, you may be charged a fee for the perishable items in your order. For further details on the cancellation policy, please see Terms and Conditions in this link. Yes. You can remove or add items on your cart before check-out. There is no purchase limit for debit or credit card purchases, the maximum amount to be purchased will depend on the balance available on your card. How will I know the earliest date/time for delivery? We can deliver as early as 8 a.m. up to 6 p.m., Mondays thru Sundays including public holidays. Our delivery couriers will get in touch with you via call or SMS before and during delivery. How much is the delivery fee in my area? How much should I buy to avail of free delivery? We offer free delivery when you spend at least ₱ 6,000.00 on your order. To find out if you have unlocked the free delivery, you can check the spending status bar in order summary check-out. A Personal Shopper is the ones who picks the item in your order. Your Personal Shopper has been trained extensively to understand the quality standards, and they know how to choose the best products: checking expiry dates and picking them in the right order to keep the cold chain. They will handover them properly packed to our logistics partners. We charge a small fee to continuously improve their service and training. The personal shopper’s fee is only ₱99.00. The personal shoppers are the team responsible in ensuring that your orders are complete, in good condition, packed properly and delivered on-time on your expected arrival time. How much should I buy to avail of free personal shopper’s fee? Can I pay my order upon delivery at my doorstep? Yes. We offer Cash on Delivery option. Our trusted courier will collect the payment from you once you received the goods. Why was I charged the wrong amount in my order? If you think you are mistakenly charged with an incorrect amount, please contact our Customer Service Support at landershelp@landers.ph so we can assist you. How do I notify Landers of fraud transactions? Please contact our Customer Service representative at landershelp@landers.ph immediately. 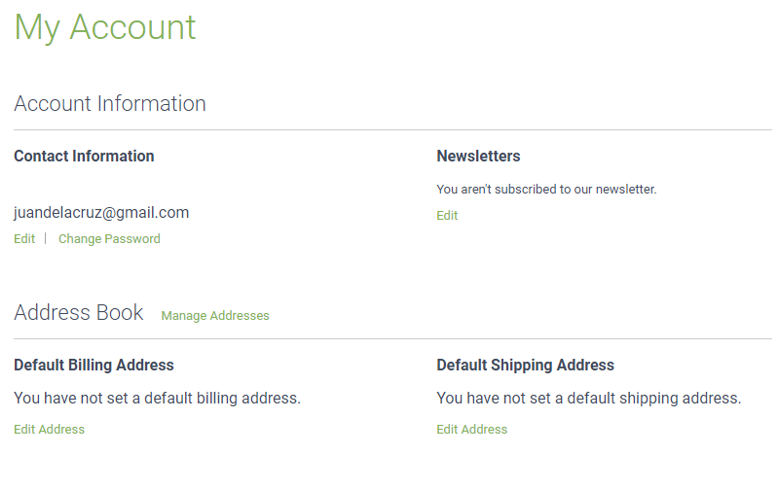 Provide the Order number as well as the email address and mobile number registered with your Landers account. Our officers will guide you on the next steps to process your case. If you are not 100% satisfied and wants to return and exchange your item, you may do so on allowed items within the 7 days for non-perishable items and within 24 hours for perishable items. Items to be returned must be in good condition and still in its original packaging accompanied by original Landers Superstore sale transaction receipt. Where can I return my order? Items can only be returned or exchanged in the store where the items were originally purchased. What is the timeframe to get my refund? Landers store only allows exchange with the same item or be issued a Credit Memo (CM) with the same value but no cash refund.